Jack Reacher is a swift and slickly made thriller. It features Tom Cruise in the title role as a former U.S. military officer who turns vigilant and takes matters into his own hands (he doesn't care about justice, he cares about what's right). The film is shot by the screenwriter of The Usual Suspects (Christopher McQuarrie) and it has effectively coarse action scenes in small doses. Watch for a restless, breathtaking car chase through the streets of Pittsburgh, a villain who will creep you out big time (interesting casting choice in director Werner Herzog), and an extended cameo by Oscar winner Robert Duvall (if you dug Days of Thunder, you might cherish the image of him and Cruise in the same scene). 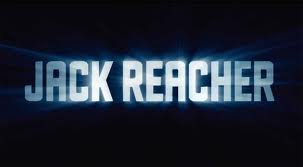 Overall, Jack Reacher is an entertaining yarn that might have been overlooked during Christmas season, circa 2012. It's a solid vehicle (get it) with style to burn.